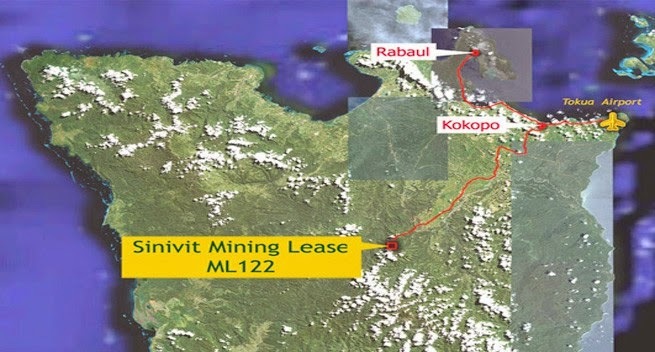 LANDOWNERS of the Sinivit gold mine in East New Britain Province will be meeting with developer representatives and government officials today to iron out issues between all parties. This follows an incident on Saturday where frustrated landowners went up to the mine site and ordered the camp manager to vacate the mine saying the developer, New Guinea Gold Limited, was occupying the mine illegally following a National Court decision late last year declaring the extension of the mining lease (ML 122) in May 2012 as null and void. The landowners locked the gate to the mine to show their frustration. Landowners Samuel Elisa and Alois Kivung claimed the company could no longer conduct mining activities due to its continuous financial difficulties. They said the developer owed them outstanding loyalty and compensation payments and despite promises to address these issues, nothing had been forthcoming from the developer. They said it had been more than six months since the court decision was handed down late last year and the company continued to illegally occupy the mine. The landowners said they wanted to work with a new developer so they can benefit fully from the mining project. Attempts to talk to mine officials were unsuccessful since their office located in Kokopo was closed due to nonpayment of rental fees. The Sinivit mine is located in the hinterlands of the Gazelle district in East New Britain.